At Dental Dynamics, we strongly believe in staying up-to-date with the latest advancements in oral healthcare for the sake of our patients. Our modern dental office features several outstanding technologies that go a long way towards improving overall efficiency, procedural comfort, and diagnostic precision. 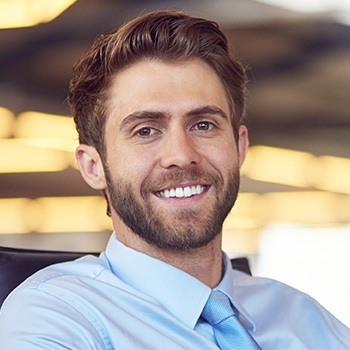 We also offer several specialty services that can’t be found at just any dental practice throughout the Skokie community for greater convenience. If you’d like to learn more about these state-of-the-art features, keep reading below or contact us today to schedule a first appointment. Why Choose Dental Dynamics for Advanced Dental Technology & Comforts? With the help of intraoral cameras, you can see what our dentists are seeing! We’ll capture high-resolution pictures of the teeth and gums and then display them on a conveniently located television screen in the operatory. This visual aid gives us the opportunity to more clearly explain any problematic findings, the results of certain treatment plans, and even how to brush and floss more effectively at home. We enjoy helping patients feel like fully informed partners in their oral healthcare journeys! Digital radiography has surpassed the limitations and pitfalls of traditional x-ray film in every possible way. 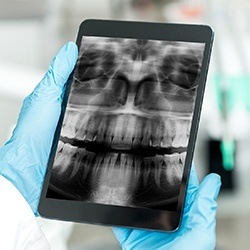 Instead of having to wait hours for images to develop in a darkroom, our dental team can transmit captured X-rays immediately to our computer system, pulling them up on the monitor within seconds. 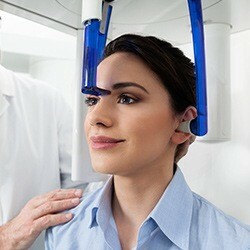 They can even be color-coded, magnified, and rotated for added patient clarity! Better yet, any radiation exposure is dramatically reduced by up to 90%, which makes this diagnostic process much safer for adults and children alike. When planning advanced treatment like surgical dental implant placement or root canal therapy, our dentists want to make sure that we leave no stone (or tooth) unturned. That’s where the revolutionary Cone Beam comes in! This technology moves a big step beyond the limited scope of digital radiography, creating three-dimensional X-rays of the patient’s oral structures with plenty of crisp, comprehensive detail. This valuable information helps us provide care confidently and with virtually no risk of unexpected “surprises” along the way. If you’ve ever been in need of a brand-new dental crown or other restoration in the past, it’s very likely that you had to sit still in the dentist’s treatment chair while uncomfortable putty was pressed into your mouth. Impressions are a vital part of quality dentistry, but the last thing we want is to leave our patients gaggling and miserable! That’s why Dental Dynamics has invested in digital impression technology for a faster, smoother, and much more pleasant treatment process. 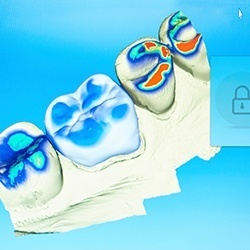 Now, a few quick scans of the teeth is all it takes to create a painstakingly accurate model for restorative, cosmetic, and orthodontic purposes.